The Irish arm of coffee giant, Starbucks increased its profits after tax by 47 per cent to €721,327 in 2012 – but paid no corporation tax. Accounts just filed by Ritea Ltd – formerly Starbucks Coffee Company (Ireland) Ltd – show it increased operating profits 40 per cent to €801,416, from €570,450. Net interest payments of €80,089 ate in to that figure. 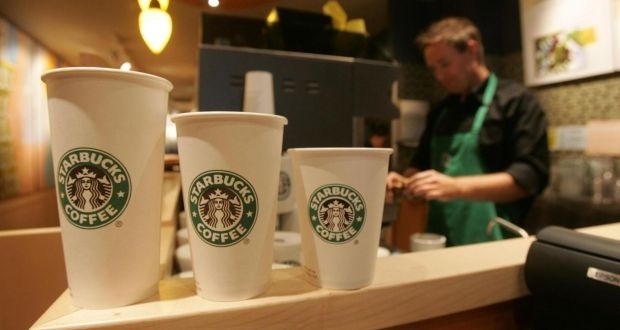 Starbucks signed an agreement with Dublin-based Entertainment Enterprises Group, run by Colum and Ciaran Butler, just before the end of its 2012 financial year for the group to license Starbucks’ 17 stores in Ireland. Starbucks now has 33 outlets in the greater Dublin area – less than a decade after the first Starbucks in Ireland opened at Dundrum Town centre in 2005. Posted on February 25, 2014, in #ireland, #retail. Bookmark the permalink. Leave a comment.